Quick question… What’s a good way to inject analog life into a cold digital mix? Well, you could start with recording your tracks using a tape machine… But in this digital world, who’s got time for that? So one of your best bets is a tape emulation plugin. And this post will introduce a few of them to you. Plus go over a few of their features. So, what are the best tape emulation plugins, you say? 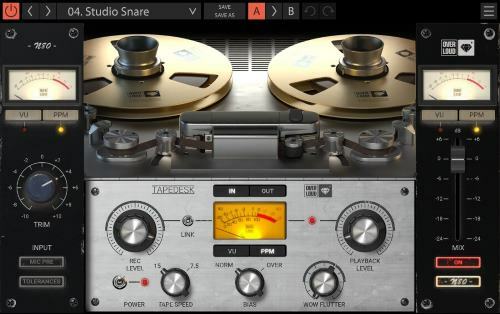 Quick answer: Check out the Virtual Tape Machines (VTM) by Slate Digital and Satin by u-he. Those two are our top recommends, with Satin being the cheapest. But there are some other great Waves plugins here for you if you’d want to take look at those. 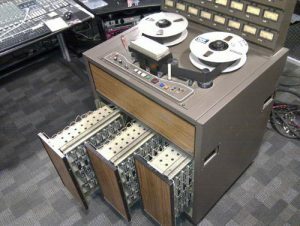 Back in the day of analog produced music, engineers used big tape machines to record tracks (Wikipedia link). In fact, within the age of the DAW you can actually see this “tape machine” metaphor in use in the way the digital audio workstation works. But they won’t have that “tape sound” because, well, they are visual representations of digits on a computer screen. A great GUI to work with… but not like the real thing. 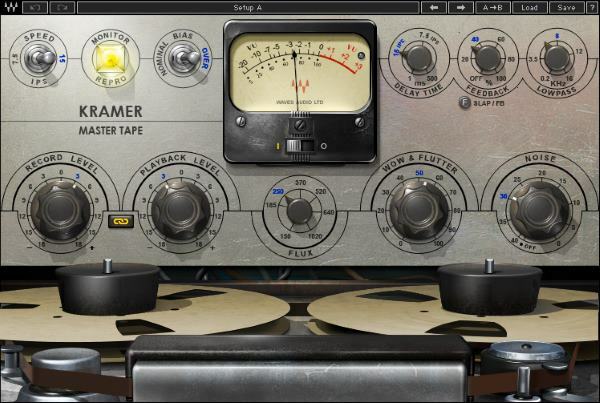 In comes the tape saturation plugin, which is used to emulate the sound of those old analog tape machines of yore, giving you that warmth that is usually limited in the digital realm. How does Tape Saturation work? Tape saturation introduced ‘warmth’ into the music recorded on tapes in earlier times. When instruments or vocalists were taped and re-taped multiple times and mixed with one another at various stages producing, you would’ve gotten various stages of warmth in your mix. Each of these tape recordings had minor noise and distortions that are not evident in each recording. But they do accumulate in the final mix to introduce a warming effect. As time went on, analog tape recording in modern day digital technologies eliminated these distortions. But we also lost that warm sound effect that the noise introduced. We call these noises “audio saturation.” More about what that is from this Music Radar article. Moving forward, software developers, working with engineers, created a plugin to deliberately introduce noise into the tracks, hence emulating the effect of tape records. This technique is referred to as Tape Emulation and is typically applied by adding plugins to your desired track, or to your entire mix. The tape saturation plugins can be applied to the output of each instrument or can be collectively applied to the master track, or even both! One of the cool “side effects, so to speak, is that you not only get a more rich sound with grit and character, but a tape emulation plugin can really help to booth the apparent loudness off you mix if done right. With all that said, let’s take a look at best saturation plugins to get. Several tape emulation plugins are available on the market today. Here are some of the most recommended online. 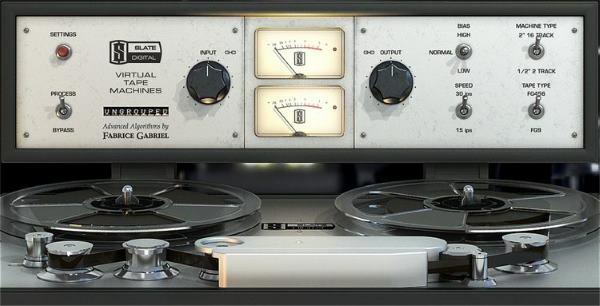 The VTM plugin by Slate Digital provides a tape effects on music recordings by emulating two authentic tape machines, a 16-track 2-inch tape machine, and a ½ inch stereo mastering deck, and providing control of bias, tape speed, and tape type. These options give you sufficient flexibility to apply tape effects on recordings, plus control the level of warmth to hear in your tracks. It requires a minimum Quad Core i5 processor and 4GBs of RAM and supports multiple plugin formats for both MAC and Windows computers. Several users recommend the use of Slate’s VTM plugin although the majority of them highlight that it tends to make the sound slightly louder, so you might need some sound normalization, just as a heads up. Since it emulates the effect of two good-sounding tape machines, it is known to appropriately mimic the tape effect, provided the controls are well adjusted. You can check out thread over at Gearslutz to see what others say. The plugin’s interface is also super user-friendly which allow you to adjust the controls freely. It’s also quite affordable, and many producers say that it’s worth its cost. Check it out. 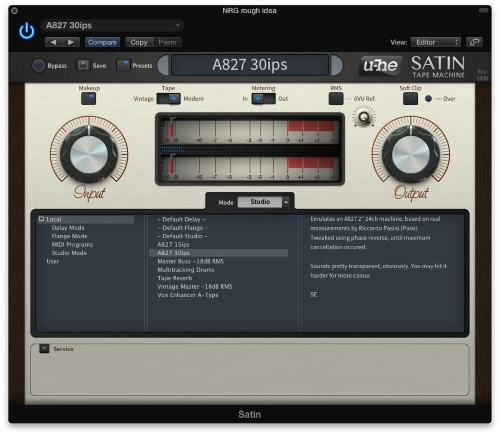 Another great plugin, the Satin plugin by u-he models the different components of a tape machine, rather than the machine as a single unit, and emulates their interaction between one another to produce the desired distortion. The key feature of this saturation plugin is its flexibility, as it gives you the ability to select the parts of the machine to be emulated… it’s as if you’re constructing your own customized tape machine! It also allows producers to introduce the desired delay and flange, by introducing up to 4 tape head emulations and phase shifting capabilities. Also, Satin is featured with a decoder that can be used for format conversion of the recorded track. Pretty good. As far as compatibility goes, Satin can operate on MAC, Windows and Linux operating systems with as low as 1 GB RAM, yet the higher the available RAM, the faster its operation will be. Many users prefer Satin because of its high flexibility and a large number of parameters available for user control, which makes them able to reach a specific tone or a particular feel that they’re looking for. It’s particularly preferred on the subtle settings where it is found to provide the best output. However, although its specifications mention only 1GB RAM requirements, several users say that it consumes a lot of CPU resources if a large number of variables are included in the emulation process simultaneously. So if you have a powerful laptop or computer with recommended specs, you should be good. Many of you may not need any introductions when it comes to Waves. 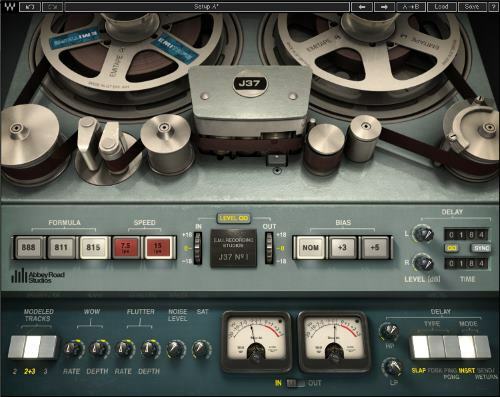 As for the plugin itself, Waves J37 Tape was built by emulating the famous Abbey Road Studio tape machine together with three tape emulation models. Collectively the plugin provides accurate emulation of the tape effect with good warmth. Image having an Abbey Roads tape machine in your DAW? Anyway, it enables bias, tape speed, wow and flutter controls among others, on a machine level emulation, as well as a tape delay feature with three delay types. Compatibility-wise, it operates on MAC and Windows operating systems and requires 8GB of RAM for smooth operation, and is supported by most audio hosts. The original price of this product is quite high for some, but Waves is known for offering big discounts from time to time, so take a look to see if you’re lucky. Users are mostly highly satisfied with its delay implementation capabilities, a few maybe not so about its bulky interface. Also, since the recommended settings state 8GB RAM, it is quite heavy on the host CPU. Moreover, it is quite sensitive and may produce extreme effects to minor changes in the distortions applied. Good plugin overall, but take those considerations into account. Another plugin by Waves, the Kramer Master Tape is an earlier tape emulator produced before they introduce J37. Kramer Master is modeled on a vintage ¼” reel-to-reel machine and has adjustable controls for bias, wow, flutter and tape speed. Kramer Master is slightly more expensive than the J37 product of the same company although J37 was released later. Reviews on Waves Kramer Master are quite controversial, particularly when compared to the J37 of the same company. While some users are satisfied with it, the majority of users who experienced the Kramer Master were disappointed with the output and had to purchase the J37 to get the effects they desire. It is thought that Waves released Kramer as a response to the release of Slate’s VTM and hence was rushed through and not-well-thought-of. Nevertheless, users have agreed on its desirability for some effects, but it is not recommended as a complete all-in-one product. That said, it works on MAC and Windows operating systems and requires 8GBs of RAM. If you want to check it out, take a look. Overloud TapeDesk is a tape emulator plugin that combines both a tape machine model and multiple console models to provide the desired warm analog effect. In particular, it simulates a 2” 24-track tape machine and three analog consoles while faithfully replicating the interaction between all four parts. Perhaps one of the best reasons for getting TapeDesk is that it requires low CPU resources to simulate all the sub-components in the original units it models. So if you’re watching your computer’s power resources, this could be a good option for you. There are generally positive reviews from users online. If you’re interested in demoing the product online, some were usually frustrated by the complicated procedure needed to get an offline demo. Once it is operational, users are satisfied with its output response, particularly with its noticeable low CPU usage. That said, which one to get? Well, the Satin plugin by u-he provides a larger number of controls when compared to Slate’s VTM. This is because it allows you to introduce the effect of each component of the tape machine on its own rather than controlling the overall tape machine response. For that reason, Satin wins as the best tape saturation plugin. Nevertheless, Satin requires more CPU resources for the emulation process which could be quite heavy on the computer used. Slate’s VTM will be less demanding, so it wins out on Satin for that. Keep in mind the cost of both products is quite comparable to Satin being slightly cheaper. Kramer Master and J37 are both products by Waves. Users who have experienced both tend to prefer J37 as it provides a larger number of presets and hence better control and better outputs. Nevertheless, J37 has been reported to consume higher CPU resources; yet this means that it applies deeper processes to the records which justify its more desirable output. While Overloud’s TapeDesk may not provide the best or most desirable output when compared to the other four products, it is highly recommended for people with scarce CPU resources as its usage is significantly low. This highly-desirable feature gives this product a strong plus point when compared with all others. Both Waves products (J37 and Kramer Master) are more expensive than the other plugins described in this article. Satin by u-he is the cheapest whereas Slate’s VTM and TapeDesk by Overloud have almost the same price.